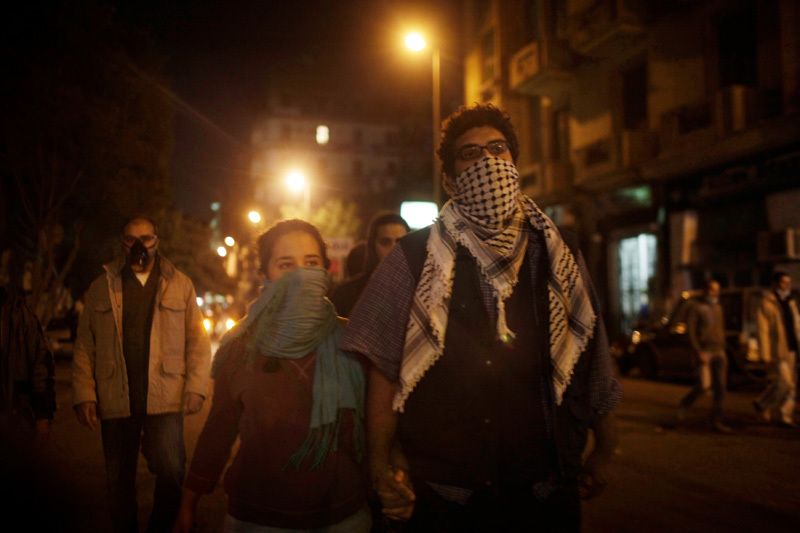 Activists Hana El-Rakhawi, 18 (left), and Omar Shamy, 21 hold hands as they head down towards the front lines in Cairo, Egypt as clashes with the police continue a few blocks down the street Nov. 22, 2011. Mass protests exploded in Tahrir square after the authorities moved to evict protesters who had encamped themselves in the square the night before. Thousands converged into the square, sparking a battle that is continuing into its fourth day.